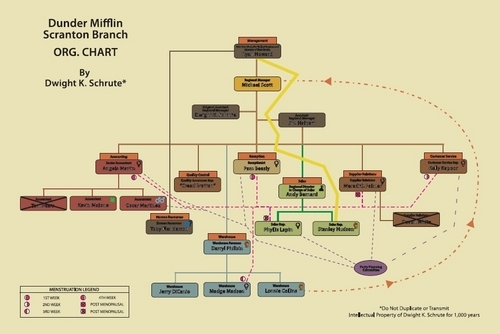 Dwight's Organizational Chart. . HD Wallpaper and background images in the The Office club tagged: season 4 did i stutter dwight schrute organizational chart funny nbc. OMG this is so awesome! 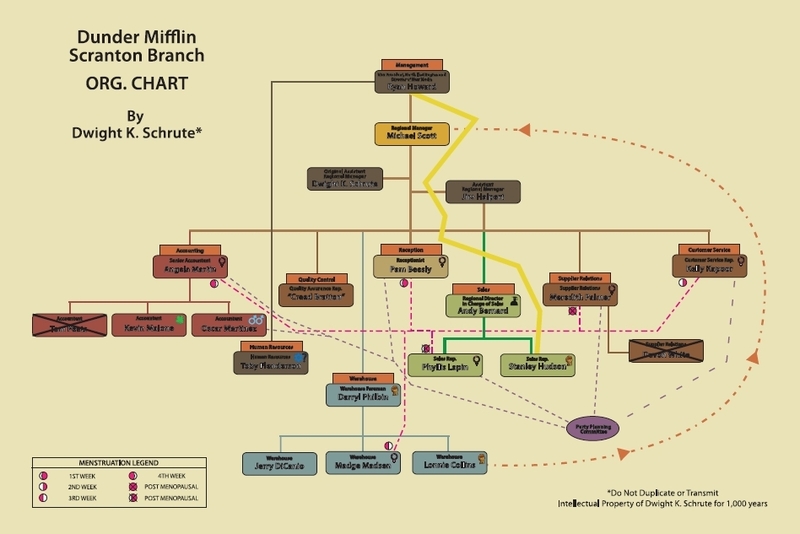 I love the asterisk: Property of Dwight K. Schrute for 1,000 years. Look at the little icons next to Oscar (two male symbols) and all the African-American employees (Stanley, Lonnie and Darryl) have the same icon next to their names too! Ridiculous Dwight.